The Revo Race Wheels are mounted by Stéphane Platon, who possesses the company REVO RACE CUSTOM BIKE, situated in Aisne, in Picardie. He is above all a passionate of bike and of nice material, reason why he started this activity with several roles, the mounting of artisanal wheels but also the personalized painting and the repartitions on the carbon. For this test, and regarding our participation to the Ironman world championships, Stéphane has mounted for us a pair of wheels totally adapted to the event and above all to our profile of cyclist, realizing a joint mounting made of RT80 backwards and RT60 in the front. For this occasion, Stéphane has also showed us his whole designer talent, because he completely remade this pair of wheels with a decoration which makes no doubt about the destination of this pair! An artisanal mounting of your wheels realized by an artisan must allow you to personalize your wheels to your weight, your practice and your budget. Tensions will be better balanced, which should also considerably improve the life duration of your wheels, compared to a manufactured mounting. For the purists and lovers of material, choosing your components one by one, discuss about the technique, profiles, goals, are parameters which will give you a big pleasure to ride on your wheels. Yes, your wheels, because it won’t be those of your neighbor, your teammate, no, it will really be your wheels. You will have thought about it and have built them according to your needs. We have followed this step for this testing, to mount a pair of wheels for Hawaii, a wheel which corresponds to the race profile and to the athlete’s characteristics. 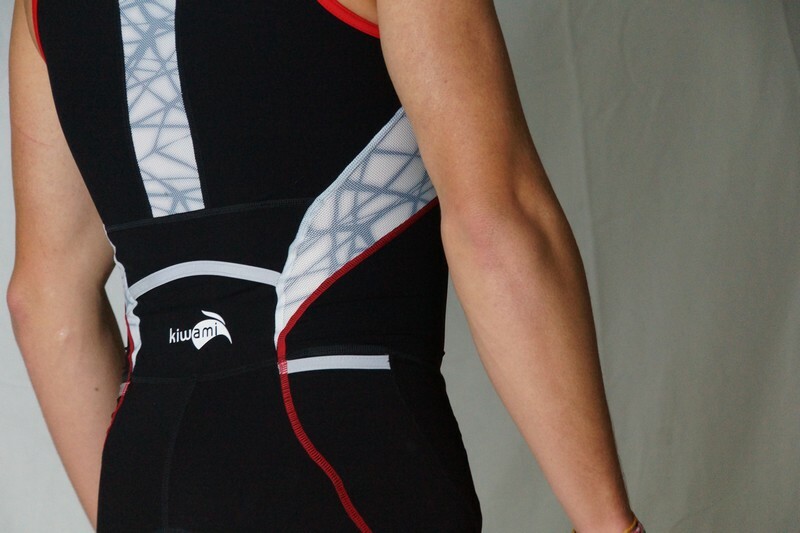 For information, our tester is a former cyclist, quite light and with a polyvalent profile. 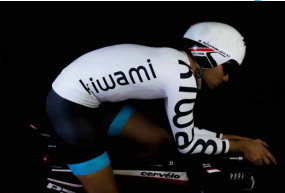 On a race such as KONA, he wants to do a time between 4h50 and 5h for an average power of 220-230 watts. The mounting of a wheel begins with the choice of rim profile. 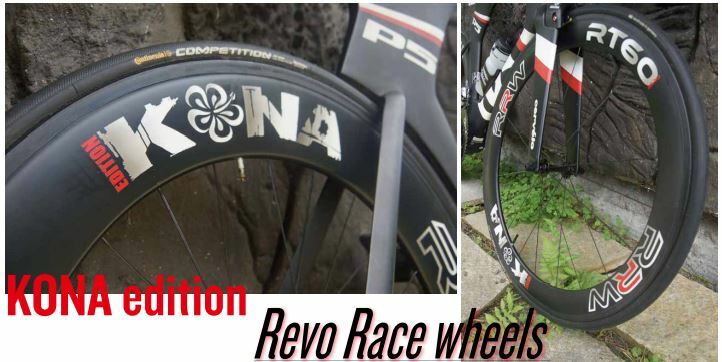 Revo Race Wheel offers high module carbon rims from TORAY. The finishing is in carbon 3K matte, which lets the thin braiding of the fiber appear. These rims follow the current tendency of wide rims with a 23mm width, which brings a better lateral rigidity, but also a better bonding of your tubular. Usually, a standard rim possesses a width of 20,5mm. Be careful to check if it will suit your bike, especially on an ancient frame. 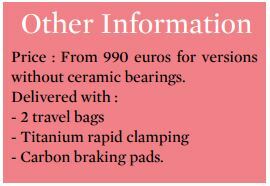 The personalization is made here on the hight of the rim, and multiple solutions are offered to you. 20.24.30.38.44.50.60 and 88 mm for tubular versions. 24.38.45.50.60. and 88 mm for full carbon pneumatic versions. 24.38.50.60.88 mm for pneumatic version with aluminum braking. After hesitating, we have chosen a mixed pair of wheels, by mismatching the front/back hight. No doubt regarding the choice of the back wheel, as the disk-wheel is forbidden, it will be a 88mm. The choice of the front wheel will be more complicated. The profile of the race should also make us choose a 88mm, but the wind can be very violent, and a small person as our tester could have trouble holding his bike with a wide rim. We have thus chosen to «sacrifice» a few watts aero with a 60mm profile in front, which will make the bike handier in case of violent lateral wind. For the mounting of hubs, many solutions are also offered to you. With Revo Race Wheel, you can choose among the following brands: DTswiss, Chris King, Hope, Tune. 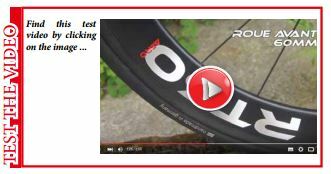 But also the Revo Race Wheel home-made hub, the one we have chosen for this testing. The hub is made of aluminum 7075 T6 for the hub body and the axis, with a T6 treatment which allows to harden the material. They are available in a black anodized color. They have a concave sheave which allows to have a better foothold of the spokes. The drilling of the holes is adapted for aero spokes. They have a system of gearing of the freewheel body with 3 pawls with nine points of anchoring overall, that is to say three points of anchoring on each pawl (which causes a very pleasant sound when freewheeling!). It has a tooth path of 48 versus 24 on a standard hub, which gives it a doubled reactivity in restarts. Nota: for this so special mounting, Stéphane has provided our hubs with high performing ceramic bearings. 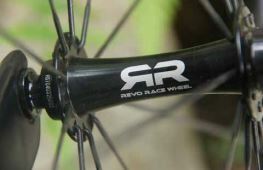 For the spokes, Revo Race Wheel offers Sapim CX Ray. For them, this is the best on the market at the moment with the DTswiss Aerolite. A lab testing confirms that the Sapim CX Ray is a little bit more resistant than the DT Aerolite. So more resistant but above all less expensive, which explains the choice of Sapim and allows to offer very good value-for-money mountings (from 990€ for one pair of carbon RT). To begin, the first noticeable thing is the design. What can we say? The wheels are wonderful! And the pictures and videos can’t show how nice they really are. You have to approach them, touch them to really realize the finishing quality of this decoration. Frankly, it is just perfect! 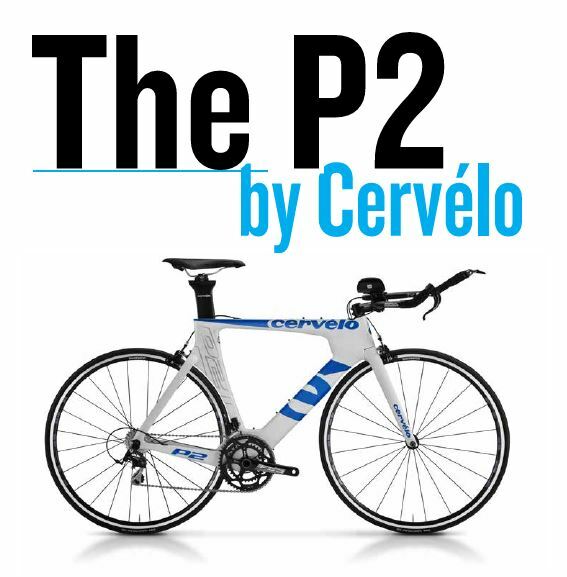 Perfect to make a splash on this so mythical race, also o perfect for its integration with our Cervelo P5. Let’s see some serious things now, the part that we don’t see… What can these RRW do? 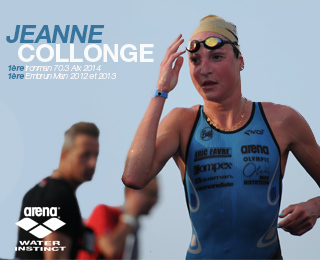 We already had a successful experience with this brand during the Ironman France. This is with a pair of RRW RT30 mounted for this occasion that we could qualify for the famous race of KONA. No surprise with this new mounting from Revo Race Wheel. We find all the qualities which seduced us the first time, rigid, reactive, fluid wheels! Maybe even more fluid on this new pair, the ceramic bearings seem to bring a small improvement. As on our previous testing, the reactivity of the wheel is excellent, certainly thanks to this freewheel body with many pawls. 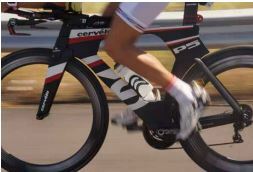 There is absolutely no «hole» when you start pedaling, no dead center. And always this so special and agreeable sound, a real happiness. What really changes this time is the profile of the rims: two very different and specific races and two as well very different pairs of wheels! If the RT30 was very pleasant in restarts or to climb summits, this aero mounting demands speed to feel the same pleasure. Thus you have to be careful, your feelings quickly become heady, the need to always push a little bit more increases with speed. Be careful then to really dictate your rhythm to the wheels and not the other way around. As you have understood, it really was a pleasure to ride with this mounting on Hawaii roads. And what would it be with a complete 88mm mounting? No regret, because there were many windy days and the 60mm wheels were agile and comfortable. To sum up, the mounting realized by Stéphane was once again astonishing, the choice of rim profile, the tension, the bearings, everything was really adapted for this event, and above all for our profile.